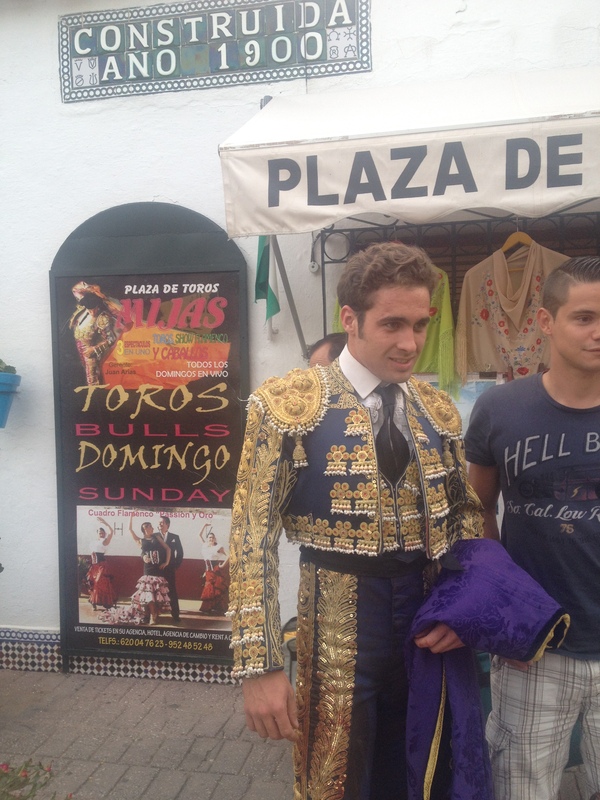 Last month I went to a bullfight in Mijas Pueblo. 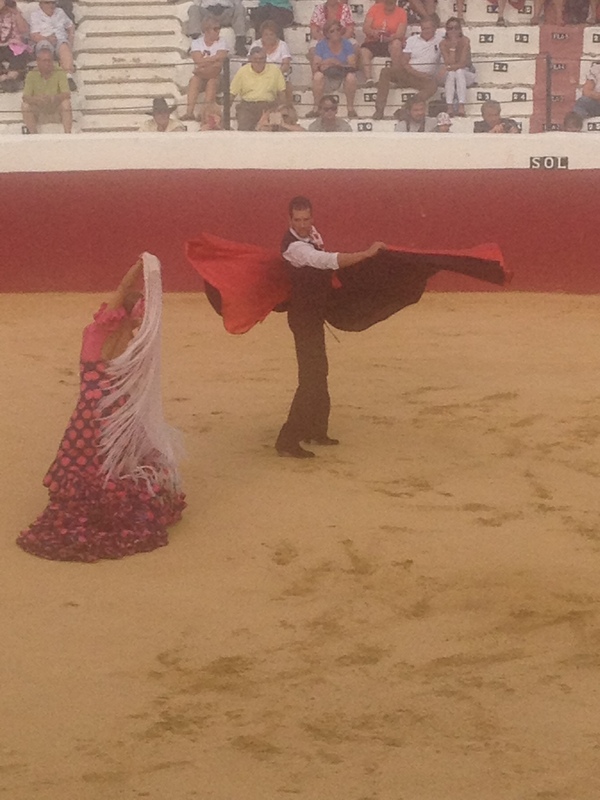 They are held each Sunday at the Plaza de Toros located in the Parque de Muralla. As someone has since observed… “It isn’t really a fight because the bull doesn’t stand a chance.” Actually, the observation is correct. 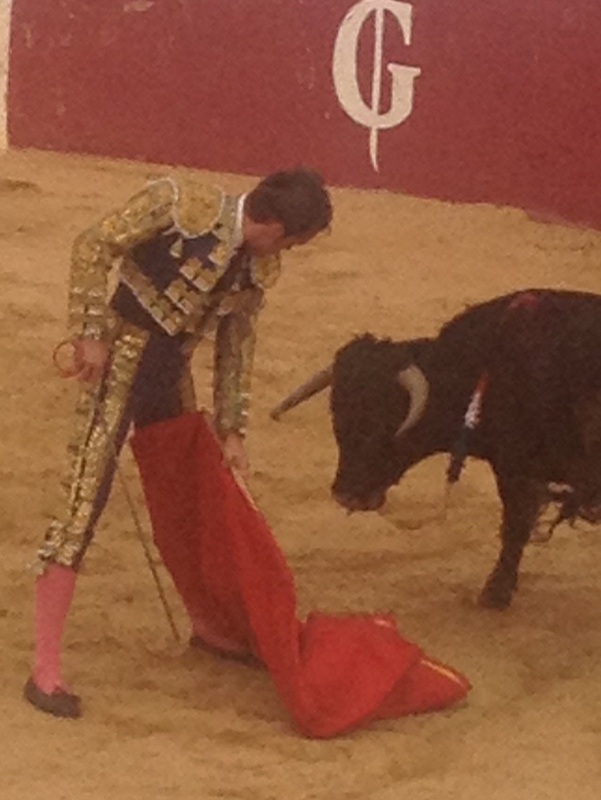 As soon as the bull enters the ring, he is doomed to eventually be worn down and die. That sounds awful but I also don’t want to detract from the bravery and skill that the young matador demonstrate in the ring. If you are like me, I am sure you wouldn’t want to be face-to-face with and inches away from an angry bull, pawing his hoofs and anxious to gore you with his horns! 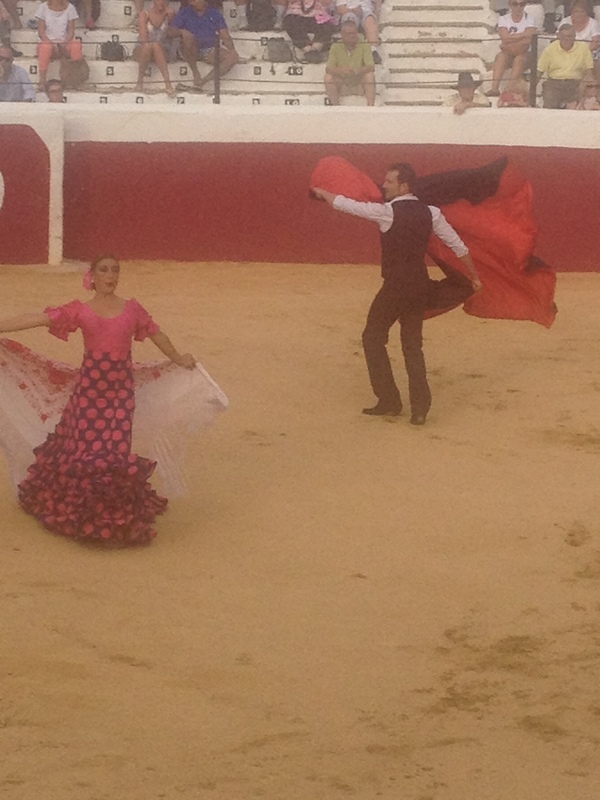 As pictured, the Plaza de Toros was built in 1900. It is different from other bull rings in that it is an oval outside with the circular bullring inside. Seating is at two ends, “Sol y Sombra” (Sun and Shade). As it was quite hot when I went, I chose sombra even through it was a bit more expensive. The seats are concrete and stone. It does have a livestock odor to it. The ring has places for the matador’s assistants as well as the band (like a small pep band) that I will describe later. I am not going to include the gory parts of the fight in these notes. It is bloody and, in my opinion, cruel at times. 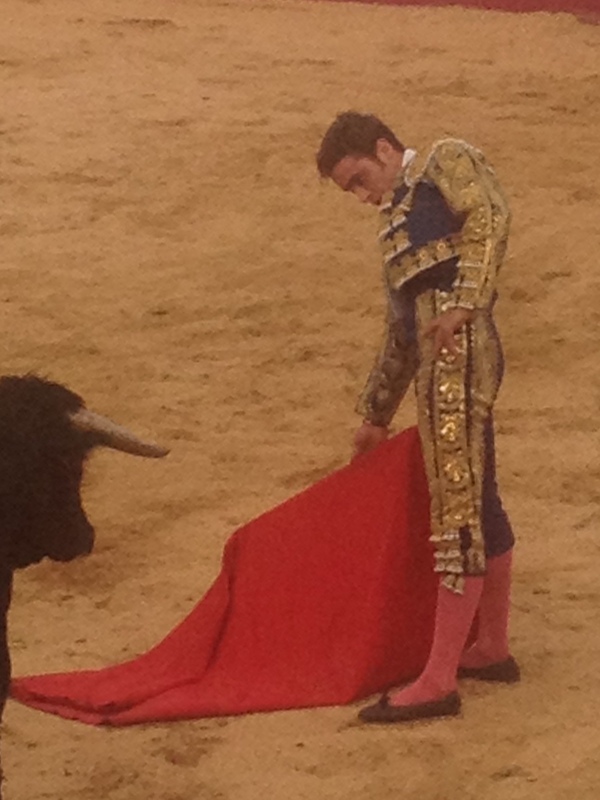 Bullfighting is close to being a national sport. Futbol (a.k.a. soccer) certainly is the national sport, however! 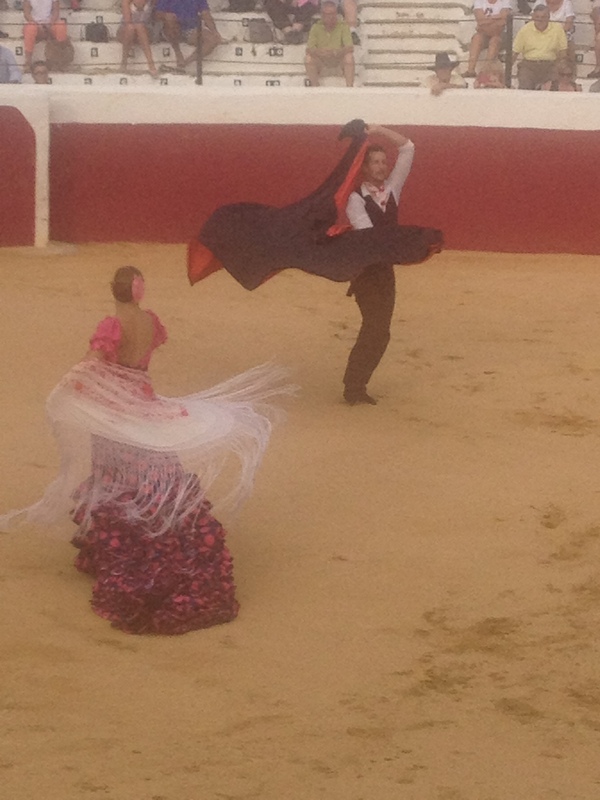 Recently I was in Ronda which is the home of bullfighting for almost 400 years. 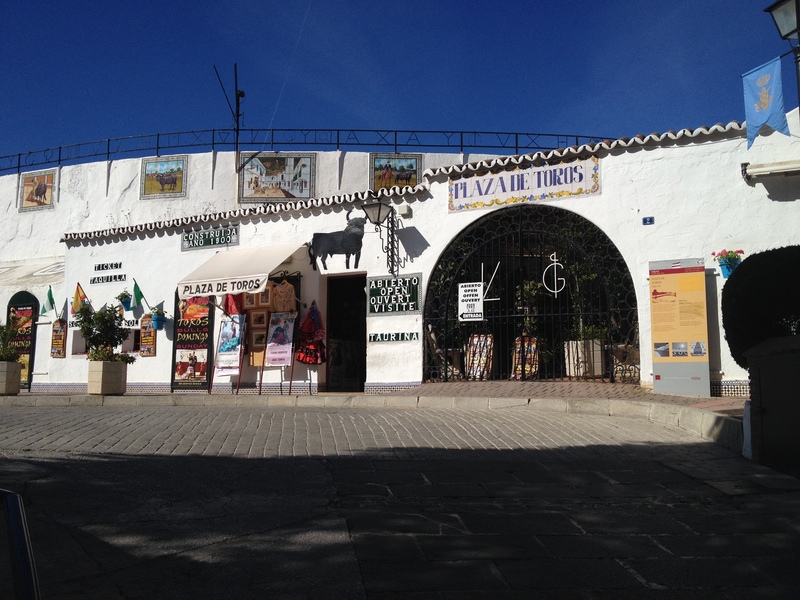 There you will find monuments outside the city bullring dedicated to the most famous toreros including Pedro Romero Martinez who allegedly fought 5558 bulls without being seriously injured! 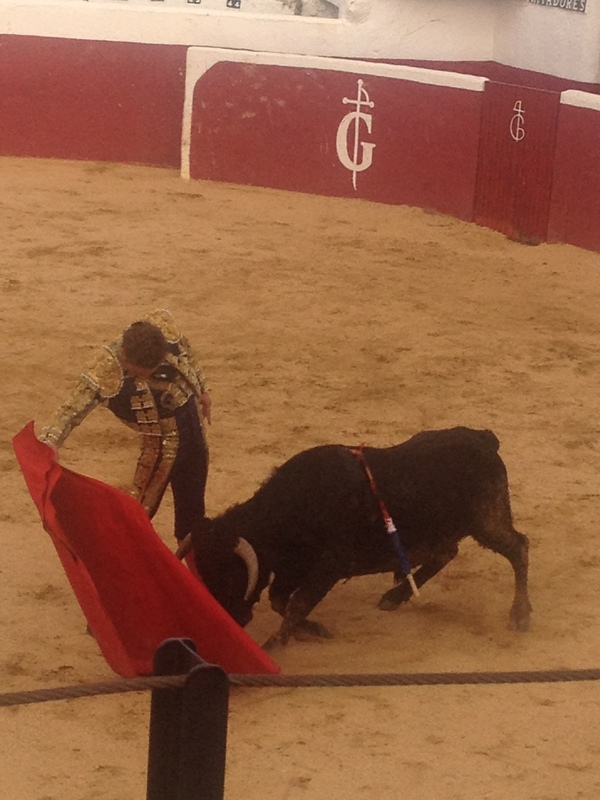 Across Spain are 30 foot high monuments to bulls and the sport. 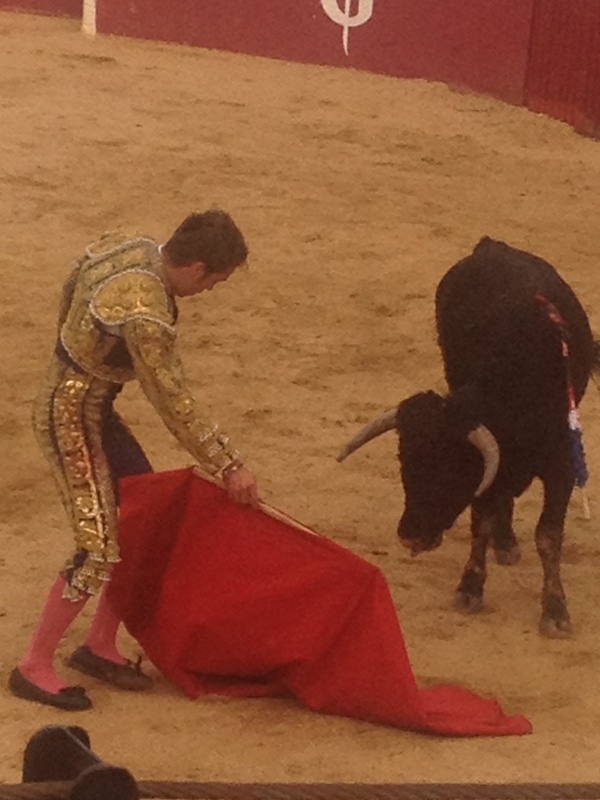 I am enclosing a few photos taken during and after the bullfight. The pricey event was an hour and a half long. This included flamingo dancing as well as two fights. It also was interesting that a small high school band was at the bullfight and added music to the various activities such as the matadors entry, and bull entering the ring, building excitement throughout the bullfight, and finally the dead bull being dragged around the ring after being killed, the bull’s ears given to the matador, and the matador being carried off on the shoulders of others as a hero!